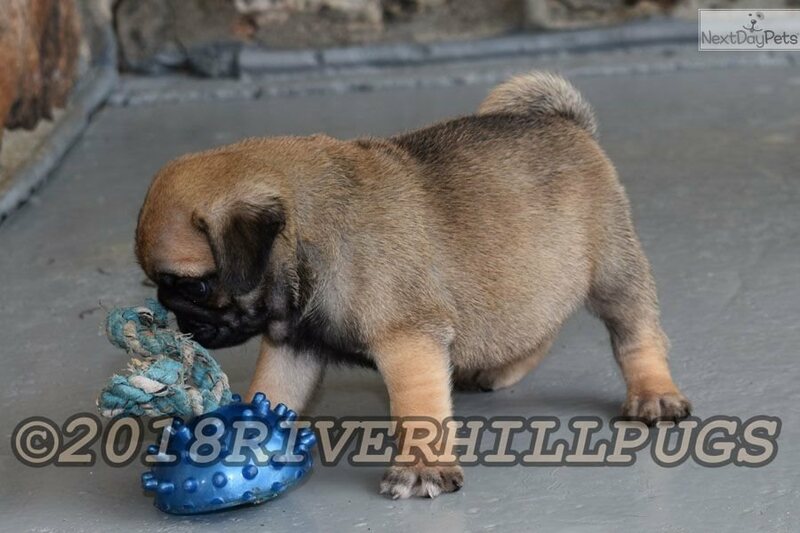 AKC Pug Apricot Male "Skittles"
This Pug nicknamed Skittles sold and went to a new family. Skittles has an apricot colored coat and cuddly personality. 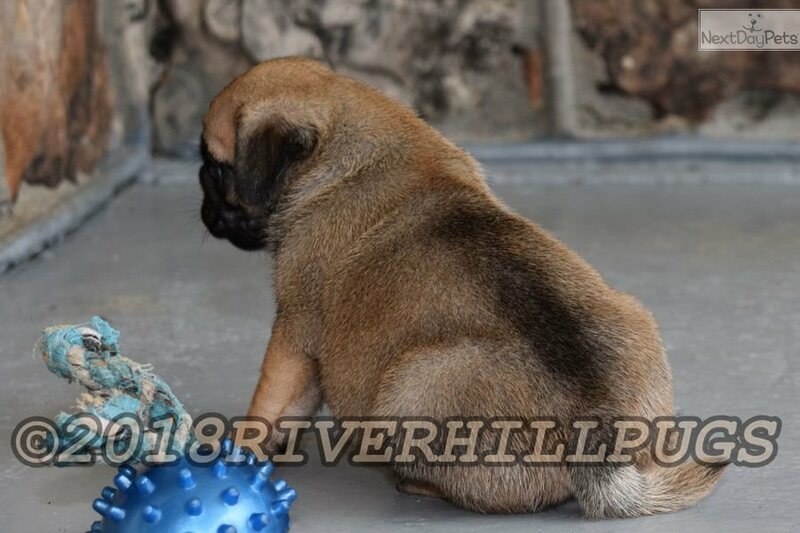 His parents both have very blocky, short bodies, and we expect the same build for the puppies. 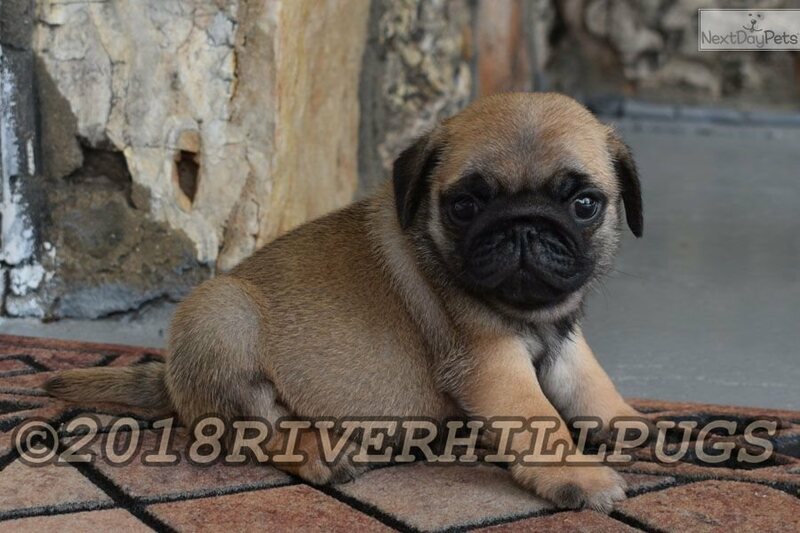 Skittles is a high quality AKC purebred Pug puppy and will make a wonderful addition to any family. Worming is done every two weeks and vaccinations are up to date and documented by a vaccination record. 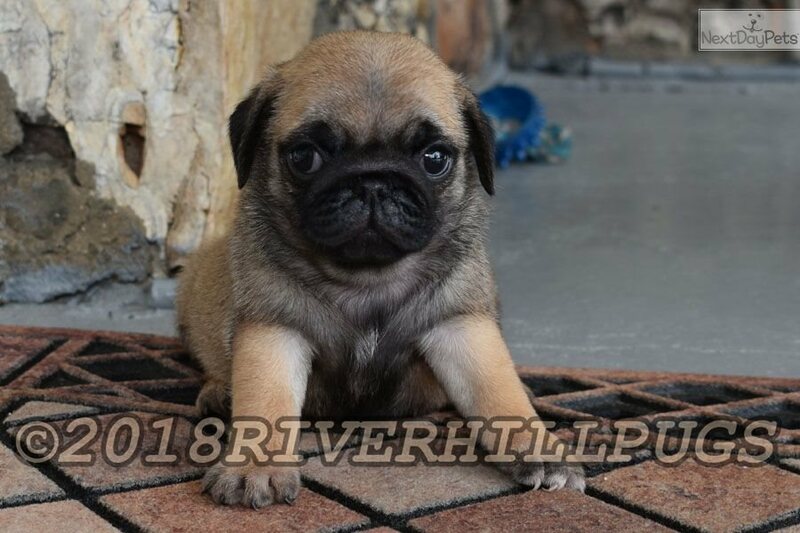 Potty training begins at six weeks, and the puppies quickly learn to utilize a doggy door to come and go as they please. 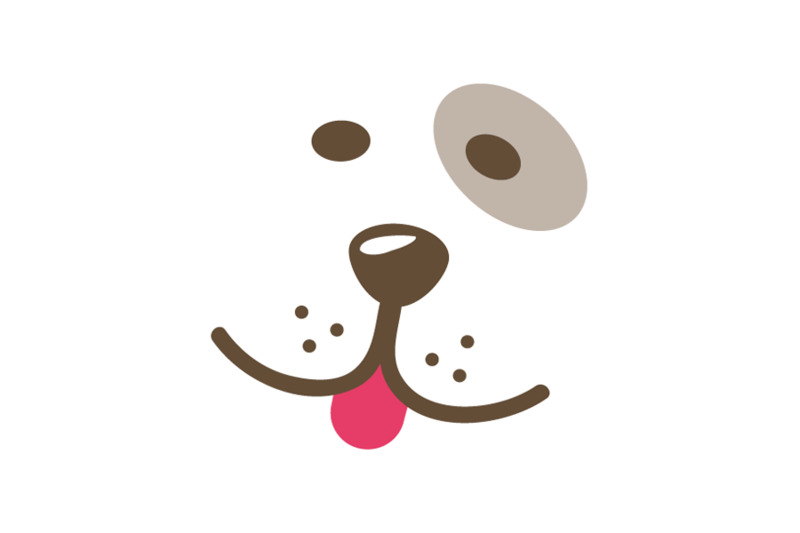 We include a two year genetic health guarantee and a veterinarian issued health certificate. 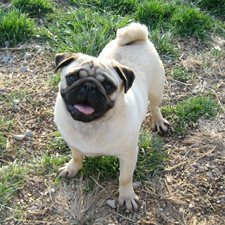 References are available from our veterinarian and the AKC Executive Field Agent who has visited us and our Pugs. 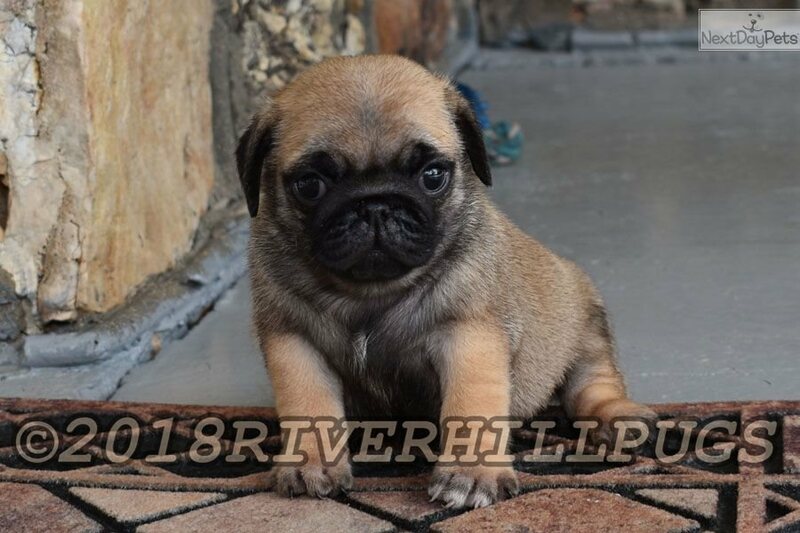 We are accepting deposits of $300 to hold puppies until the May 29 release date. Meeting and delivery is available throughout the state to cities such as Saint Louis, Kansas City, Columbia, Joplin and Springfield Missouri by car, see the shipping page on our website for more details. Debit/Credit cards and Paypal are accepted without additional fees. AKC Companion Animal Recovery microchipping is available for a fee of $35. Please call, text or email for more information 417-217-9752.